I looked into Strymon Favorite Switch, but it was a bit expensive for me, and unfortunately impossible to find used... As I read that it was super easy to build, I searched a bit on the Internet, and it REALLY is extremely simple! You just need a simple footswitch (Single PDT is enough! ), a LED, a 1k resistor (you can use different values depending on how bright you want the LED to be), a stereo jack input and a small enclosure like Hammond 1590 LB. You do not need any battery or DC power jack because the DC current is directly provided by the Strymon pedal with the tip of the stereo jack. Fig. 2. Step 1: drill a hole in the box. Step 2: put your junk in that box. The most annoying part of this build is drilling the box, you have to be a bit precise in order that all the components will properly fit in. Apart from that it is really simple and totally worth it. The setting is properly memorized, which is useful when you want to use two types of delay during the same song for instance. You just need a small stereo jack cable (not so easy to find). If you liked this article, thank me by liking the facebook page! Any questions? Suggestions? Post a comment! do you use a momentary switch? Is that SPDT switch latching or non latching? No it is a simple SPDT switch, normally open. Here is the schematic, very simple! Hi great info! Im using a joyo pxl-pro thst has 2 mono switches that can be activated independently. If I wanted to activate favorites mode, would I keep the tip connected and toggle ring to activate favorites mode? Any ideas? I did this design and it seems to have worked. it works by pressing the pedal. I do the whole procedure to save a favorite sound. but when I turn on the pedal, the sound remains the same. there is no change of sound. Best capacitors for guitar pedals: which one to choose? 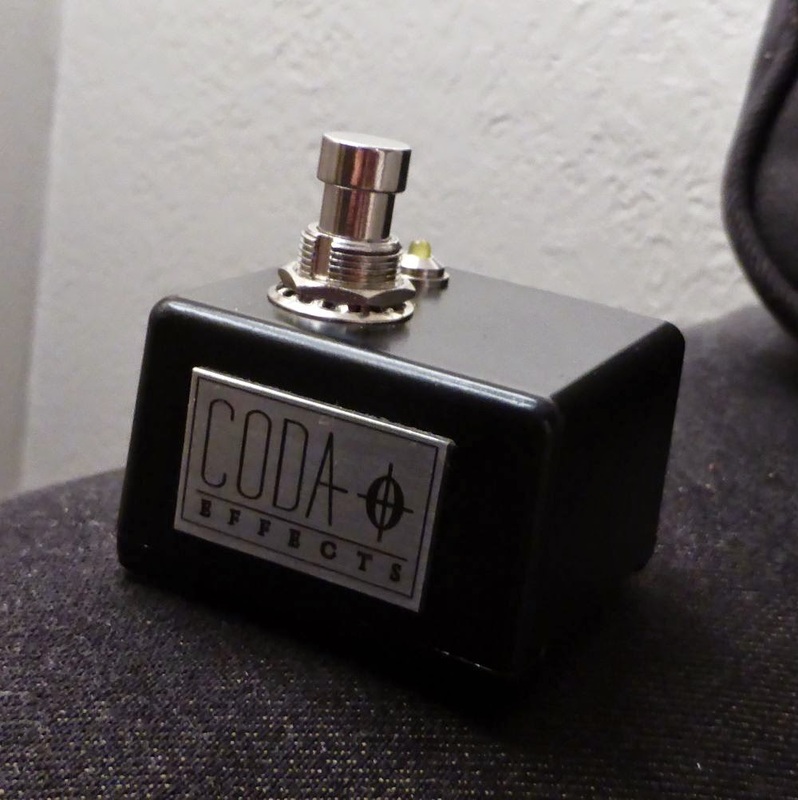 Get the latest news of Coda Effects's blog, maximum once a month.